The long winter's nap is over. This month, it is time to start your engines and begin once again to work in the yard and garden. The better you prepare now, the more successful you will be when the long, hot days of summer arrive. 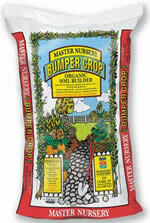 Now is the time to replenish and enrich your soil. Unleash the power of your soil by adding organics that recharge the beneficial microbes and mycorrhizae. These living organisms are not readily available in Great Basin soils and will die out annually in very cold and very hot weather. By adding these beneficials to our native soils the ability of plants to utilize existing minerals and nutrients in the soil is greatly increased. Plus, in the alkaline conditions that many of us experience it helps keep the pH a little lower, which many plants greatly appreciate. There has been some more recent research done that indicates use of these beneficial organisms helps with the over all health in the plant's immune system and additionally may actually control outbreaks of soil borne pathogens, including E. coli and Lysteria. Don't forget that we are the local distributor for Full Circle Compost products which we have available in bulk and in bags. A link is provided by clicking on Full Circle. In addition, we still have all the soil amendments and seed starting mixes that you are familiar with, including Black Forest Compost, Bumper Crop and Paydirt. March wouldn't be March without our annual Free Pruning Workshop on Saturday, March 10, starting at 10AM. Perhaps you have come before, but come again for a refresher. Every type of pruning on every kind of tree and shrub will be discussed. Dress in layers because this clinic will be held outdoors with lots of demonstrations by David, Tom Henderson and his crew from Healthy Trees and - of course - members of our own staff. Finally, with the bumper crop of cheat grass we had last year due to the heavy winter precipitation we received in 2017, expect another large cheat grass crop to appear just in time to start drying out in May - leading to another high fire danger year. Cheat grass is a winter annual. The seeds germinate in the fall and the roots continue to grow in the winter. When spring arrives this non-native weed is capable of out-competing native species for water and nutrients because most native vegetation is just getting started. Because of its short life cycle and prolific seed production fires are more frequent and the fire season starts earlier. Eradication of cheat grass is very difficult if not impossible. Mid-spring grazing by the Borda family sheep flocks on the west side of Eagle Valley helps to mitigate some of the problem locally. Pre-emergent herbicides, such as Casoron, work best in the fall before the seeds germinate. After germination Glyphosate (Round-up) will work when the temperature is warm enough (which is daytime temperatures over 60 degrees). Hand mowing, disking and animal grazing before the seeds fall are all options to try to gain control. Cooperative Extension recommends a 4-pronged approach for the homeowner. First kill existing plants. Second prevent new cheat grass from producing any seeds. Third prevent seed germination. Fourth reseed cheat grass control areas with desirable vegetation. Your lawn needs to breathe, just as we do . We frequently forget that plants incorporate oxygen into their life cycles, just as we do. So, whether you're a novice gardener or an experienced one, remember this word: AERATION. Basically, it's poking a hole in your lawn and removing a plug of soil/turf, so that soil that has become compacted is loosened, increasing its nooks and crannies that absorb water, air, and nutrients. Aeration also stimulates root growth, removes excess thatch, reduces water runoff, and increases the lawn's drought tolerance, all of which improve the overall health of the lawn. Soil compaction causes turf deterioration, and occurs in common situations, such as when we walk on our lawns, and even when we mow them. The first 2 to 3 inches of soil suffer the most. It is best to aerate in the spring and/or in the fall. Top dress with PAYDIRT or GYPSUM, or use FULL CIRCLE BOOST. You will need 1 1/2 yds. per 1000 square feet 1/2" deep for adequate coverage. This will keep the holes open, which allows for better uptake into the lawn, preventing run off. This is also a great time to overseed your lawn. Reserve Mason Bees now. They are early pollinators, which start pollinating long before honeybees come out of hibernation. A limited supply will be arriving in mid-March. There is still time to spray dormant oil and Liqui Cop fungicide on fruit trees and roses to suffocate over-wintering insects and control disease. Start planting cool-season crops in the garden. Carrots, peas, onions, cabbage and lettuce are some early-season favorites. For a complete list of cool-season crops, come into Greenhouse Garden Center and we will be happy to give you that handout.